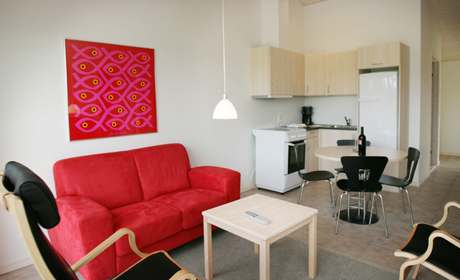 We have 10 well-equipped apartments with two bedrooms and 4 beds in each apartment. 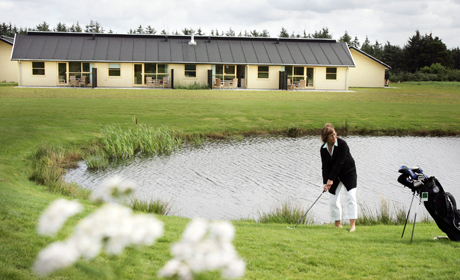 The apartments are situated 100 meters from the club house and have a view of our Pay& Play Course. Guests in our apartments have free access to our Pay & Play Course, our par 3 course and our practice facilities. Guests in our apartments have the option of full board in our restaurant at favourable prices. There is a living room and a small kitchen with refrigerator.